He made the statement recently while commissioning a standard marble signpost constructed by students of the Abdulsalami Abubakar College of Engineering of Igbinedion University Okada and as well lamented several cases of failed buildings in different parts of the country, following the activities of many quacks. The Vice Chancellor eulogized the engineering discipline, which according to him was very crucial to the development of our fatherland. 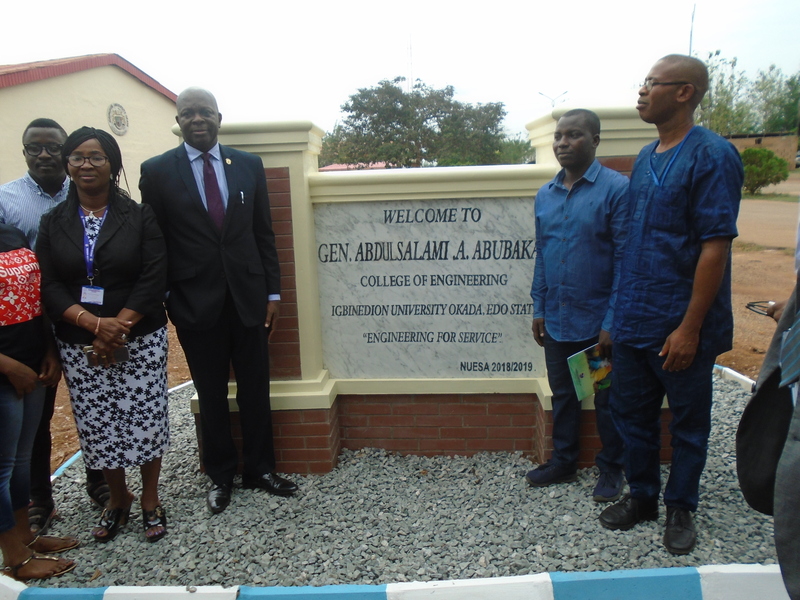 He said the university holds the engineering discipline in a high esteem which was why he had to come with the full delegation of Management to appreciate the quality project to be commissioned. He congratulated the students on the full accreditation granted to all their programs at the recent National Universities Commission accreditation visit. Prof. Ezemonye announced that the NUC resource verification team would soon visit the College with a view to accrediting the programmes for post-graduate studies, adding that he was going to make a special request for a rebate to the council for all graduates of the College seeking admission for post graduate studies in any engineering program. 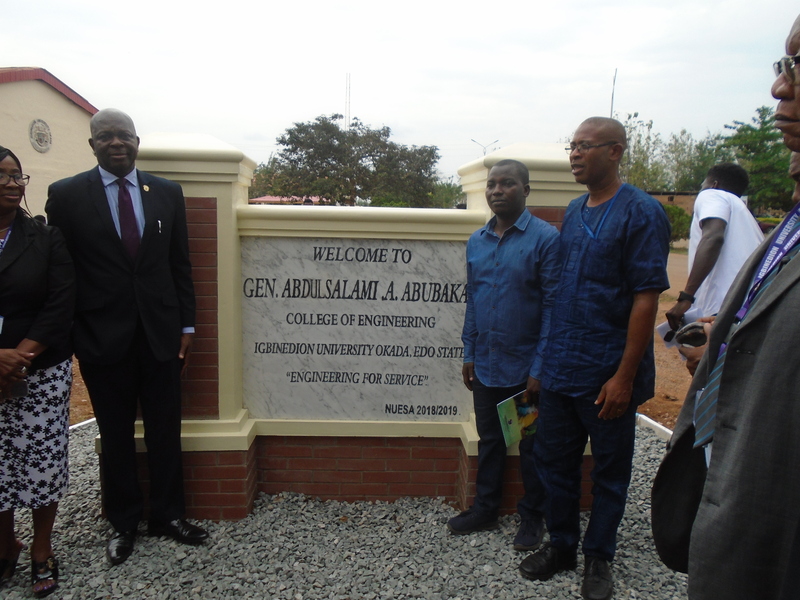 Earlier, the Acting Dean of the Abdulsalami Abubakar College of Engineering, Dr. Roland Azike, who welcomed the Vice Chancellor and the Management team to the unveiling of the project, said it was part of students projects to beautify the College.